The Hatleys bought the supper club seven years ago. For eight months, they worked tirelessly until 2 a.m. every morning, renovating and expanding the restaurant, which is located in an early 20th-century house. The renovation included adding 1,500 square feet of new space, which has doubled the restaurant in size, allowing more space for special events such as corporate dinners, business meetings and larger celebrations. “The restaurant is more versatile than before,” says Gregg. 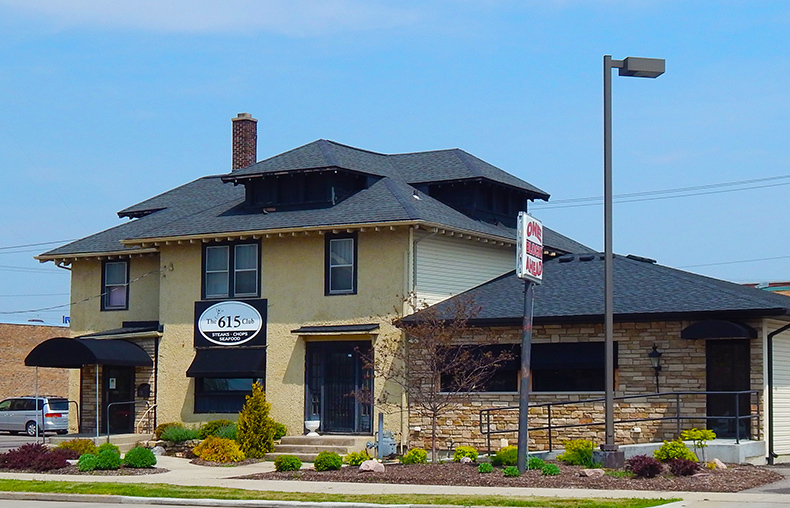 The 615 Club is known for its outstanding menu: steaks, chops, seafood, rack of lamb, and a variety of other entrees. “We hand cut all our steaks, and we offer fresh fish every week – Alaskan king crab, lobster, you name it,” says Gregg. The dessert menu is out of this world, too. How do you choose between grasshopper pie, caramel apple pie, chocolate lava cake and creme brulee?